A 3-wheel-construction was created during the designing. 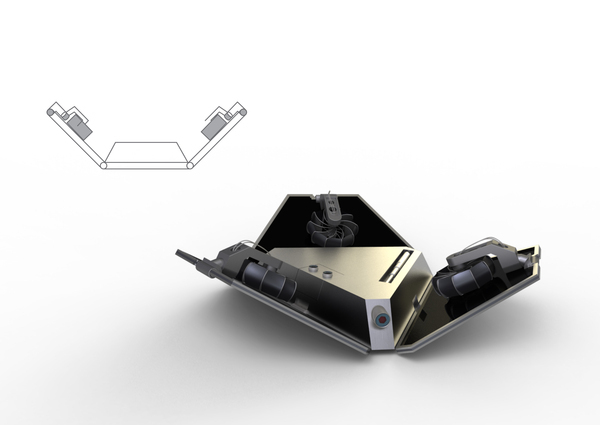 With this construction we wanted to place the wheels as far as possible from the box containing the cameras and the instruments. 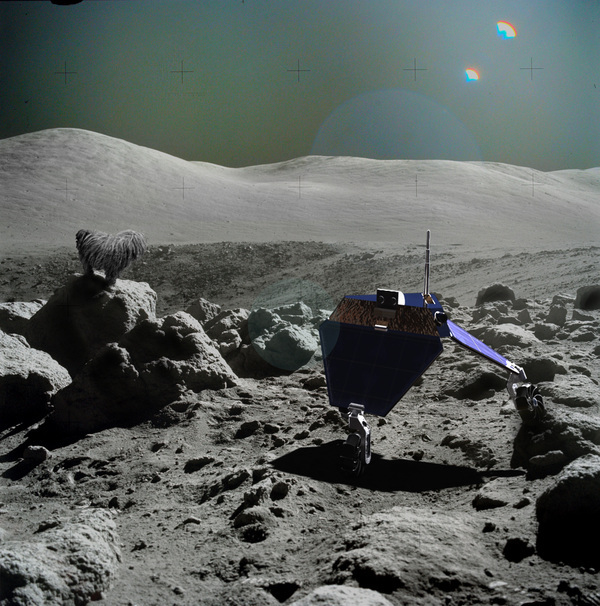 Hence we have a relatively big spread and the Lunar Rover will be more stable underway. At the same time we tried to lift the whole structure as high as possible from surface to prevent the solar panels and the instruments from the ascending dust. 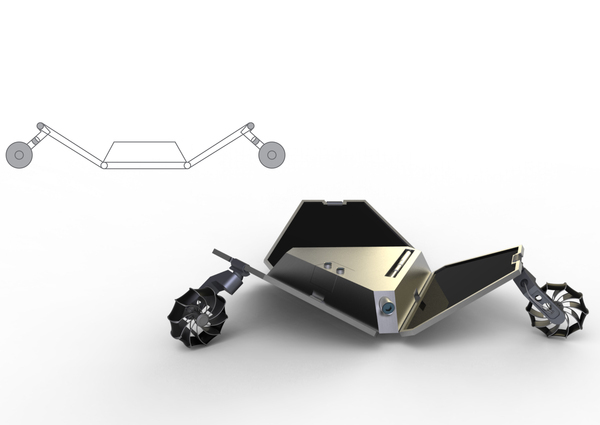 The other advantage of the construction is the adjustable height of the rover which is possible with pulling together or releasing its legs. Therefore when small stones and swells come across underway, it can change to standing position, so the obstacles can fit between the legs and there is no need to bypass them. Moreover, this helps in case of panorama pictures, giving extra height to the camera in standing position. 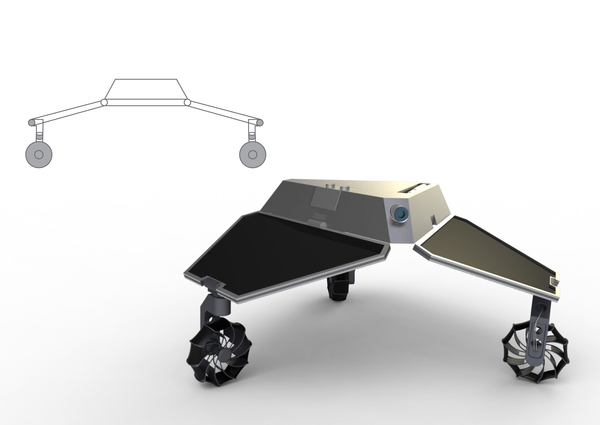 The adjustment of the control and the spread work with the sedentary rotation of the wheels, depicted in the picture. 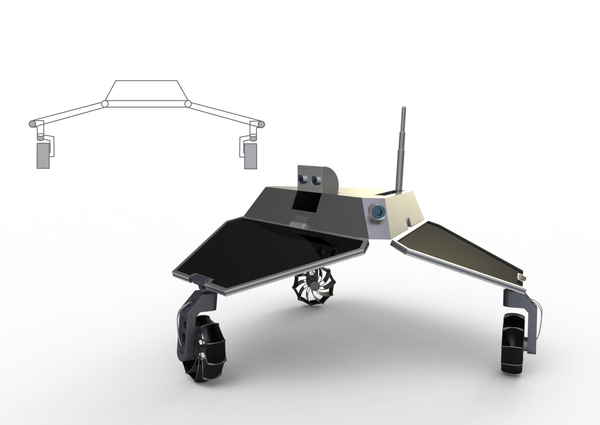 The 3 wheel structure is embedded into a tetrahedron shape, allowing the rover tobe compactly folded, while the sides holding its legs give plenty of space forsolar panels and advertising slots. 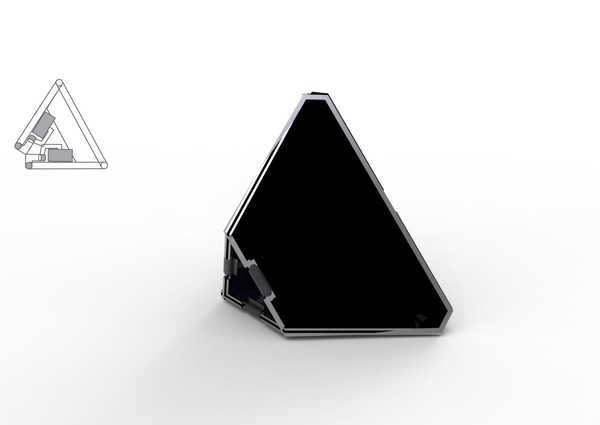 The tetrahedron shape is able – similarly to the also tetrahedron shaped lander, transporting the Mars Rover – to tilt toits bottom from any position by splitting, and then install itself. 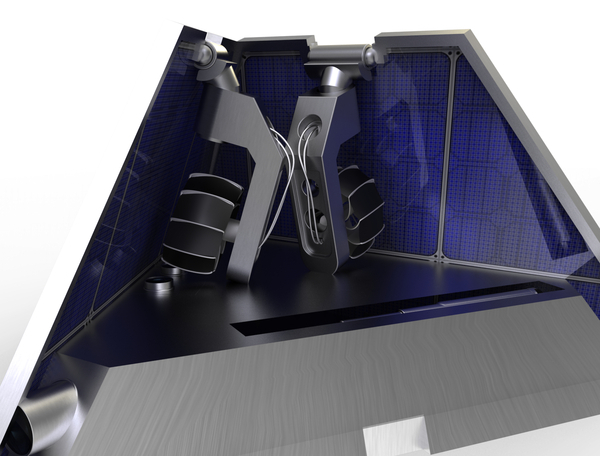 In additionthis creates the opportunity to the landing unit and the rover to be onestructure, therefore allowing the rover to have a greater size, to contain moreinstruments and to execute more duties. 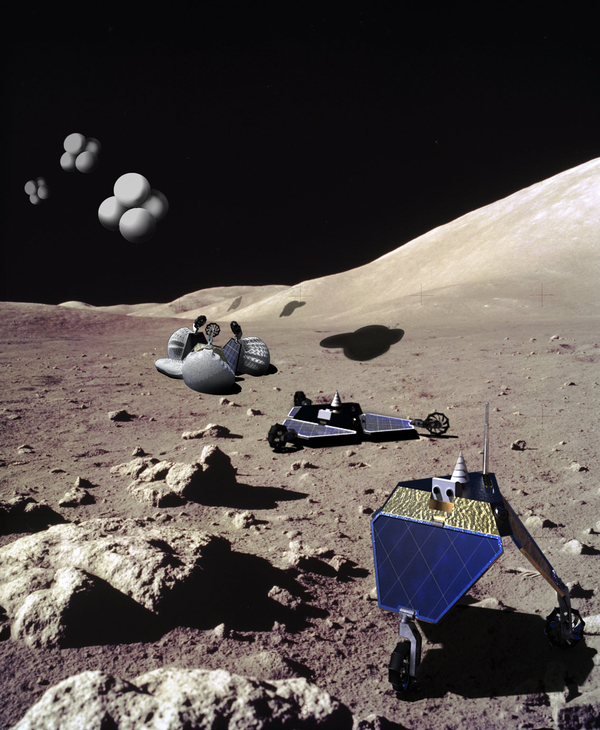 In this case, the rover lands with theairbag method. 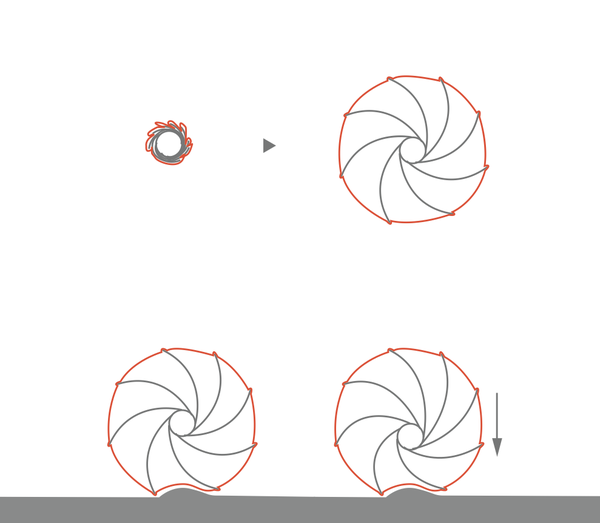 The spiral structure ofthe wheels is responsible for shock absorption and for being able to be wrappedup to very small size. 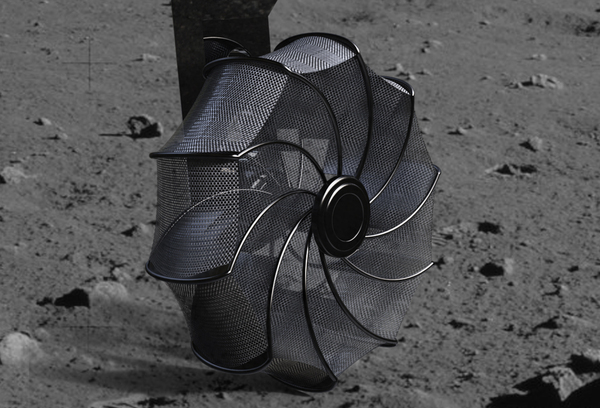 The spiral frame is covered by a canvas layer to avoiddust getting into the wheel spokes and to reduce the possibility of diggingitself into Moon dust while turning. The loose stretch of the canvas on thewheels allows them to slick to smaller obstacles, resulting in a stronger gripon them. Therefore the rover is able to climb 30-degree inclines moreeffectively. 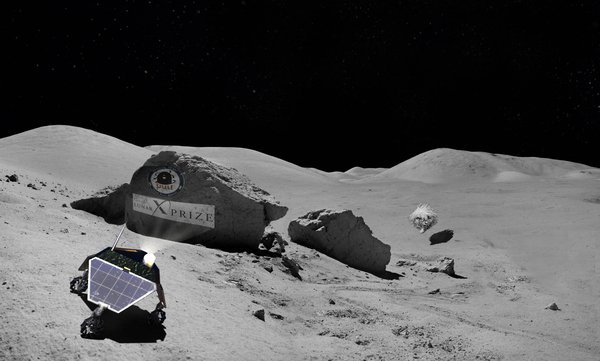 According to the tender of GLXP, the main sponsors must be displayed on the Lunar Rover, and pictureshave to be taken with the sponsors and the surface of the Moon visible in them.An appropriate surface could be the triangle shaped leg component. In addition,an alternative solution has been worked out for displaying the sponsors. 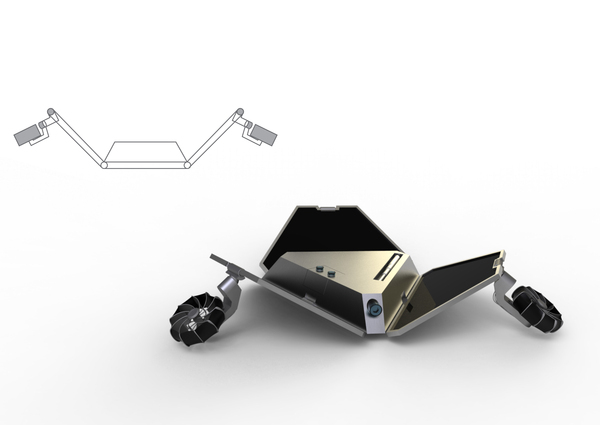 According to our concept, a projector will be installed on the rover next tothe cameras. Therefore the logos of the sponsors will be projected on the Moonsurface, even in such sizes, that a unit orbiting around the Moon could take apicture of them. 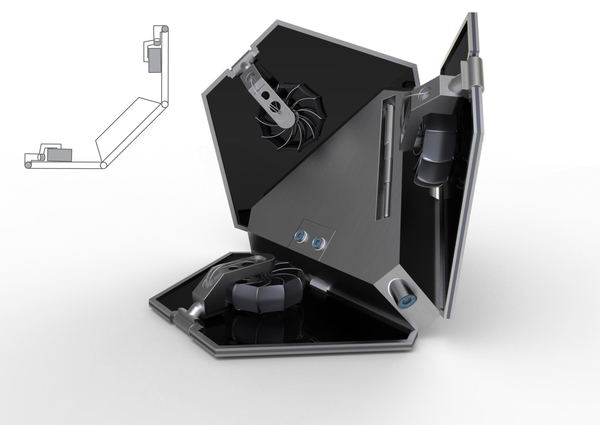 In displaying there can be new possibilities, such asanimation or the display of the complete cast. 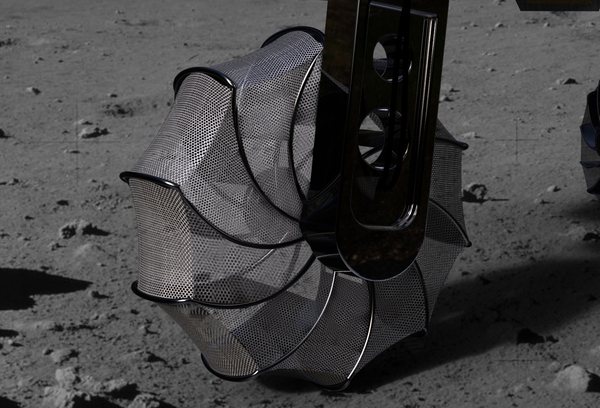 This entry was posted in articles, works and tagged design, google, lunar, prize, puli, rover, space by igendesign. Bookmark the permalink.